If you have, or are considering getting, a classroom rabbit, the House Rabbit Resource Network asks that you take some time to consider: the nature of rabbits, their needs, and what you want your students to learn from rabbits living in the school environment. The House Rabbit Resource Network does not place rescued rabbits as classroom pets. We feel that few classroom environments can meet the many needs of rabbits as a home environment could. If you are considering a classroom rabbit, we hope we can convince you that it might not be a good idea. If you already have a classroom rabbit, we would like to help you improve the life of your classroom rabbit or one you know. All it takes are commitment to the rabbit’s well-being and accurate information about his or her needs. Rabbits are intelligent and have a highly developed social order. If their personalities are not stunted by boredom or abuse, they commonly display affection, anger, jealousy, delight, annoyance, fear, submissiveness, grief, dominance, guile, contentment, mischievousness, curiosity, sadness, and joy. Even when neutered and spayed, pairs will affectionately snuggle and groom each other, and engage in sexual activity. They commonly enjoy playing with toys, especially those that can be chewed, tossed, pushed, or hidden under. A few weeks of “oohs” and “aahs” – but at what cost? Breeding a classroom rabbit so that children can experience the birth and development of the young is a common practice. However, rabbit births are rarely witnessed because they occur quickly, and usually at night. More importantly, classroom breeding too often results in bunnies who suffer and die from improper care. Some highly stressed rabbit mothers or fathers will cannibalize the young. Witnessing such an event can be traumatic to young children. If the bunnies survive to maturity, they often become marginalized pets in backyard hutches. Others are killed outright, abandoned outdoors, or taken to a municipal shelter, where they stand a good chance of euthanasia, even if they are healthy and friendly. 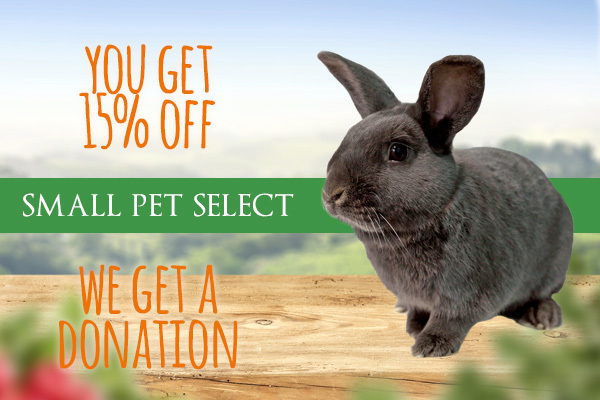 We believe that interest in animal life and humane behavior toward animals can be better reinforced by quality interaction with a healthy, happy rabbit or other pet. Rabbits can be litter trained. However, the methods are different than that used with cats and dogs. Swatting, or rubbing a rabbit’s nose in the “accident,” only frightens and confuses her. Some rabbits seem to take to the litter box naturally, while others require your patience and time to learn. HRS can provide tips on encouraging the litter box habit. Spaying and neutering do more than prevent baby bunnies. Spaying and neutering by a veterinarian experienced in rabbit care improves health, personality, litter box habits, and the ability to get along with other rabbits. Usually, feces and urine odors are greatly reduced by the reduction in hormone production, and the instinct to spray urine is eliminated. Overall, adult rabbits tend to be more easily trainable, calmer, less prone to chewing and digging, and more people-oriented than young rabbits. Rabbits are often seen as a low-maintenance pet or teaching tool. Sadly, many people’s perception of what rabbits are like is based on erroneous assumptions and experience with neglected classroom or backyard pets. It’s common to see rabbits sitting all day (and night) in small classroom cages. True, unlike many species, rabbits can endure such a life quietly for a surprisingly long time. But rabbits need exercise and stimulation to maintain health, good spirits, and normal behavior. A constantly caged rabbit becomes withdrawn and aggressive, resulting in symptoms such as lethargy, unresponsiveness, obesity, or neurotic behaviors. Within a few years, most rabbits confined in such a setting become ill and die. That’s not a normal life span. With proper care, domestic rabbits can live 8-12 years or longer. If no one makes a significant investment of time, attention, and care of a classroom rabbit, the result is a withdrawn animal who does not have much to give back to the students. Regardless of what teachers or parents believe about the care of a classroom animal, what do such practices show students about the value of living beings? Shelters are overflowing because of the common perception of animals as objects to be passed around, cared for only when it’s convenient for people to do so, then abandoned when they become too much of a bother. Animals have individual personalities and preferences. Animal languages are different from one another. Each animal species requires different behaviors on the part of humans who want to befriend them. What a dog may regard as a playful overture may be regarded very differently by a rabbit. Responsible pet ownership means meeting the animal’s needs, even when it’s inconvenient. Cleaning, training, and “bunny-proofing” are time consuming, but they are part of the commitment a pet owner should make. 1.Are you committed to caring for a rabbit as your pet for 8-12 years? 2.Are you fully committed to giving the rabbit consistent, on-schedule, care? Because of the way rabbit digestion works, food, hay, and water must be available at all times. Cages and litterboxes should be cleaned daily of soiled matter and must be thoroughly scrubbed weekly. 3.How will you ensure that the rabbit receives proper care when you are not around? 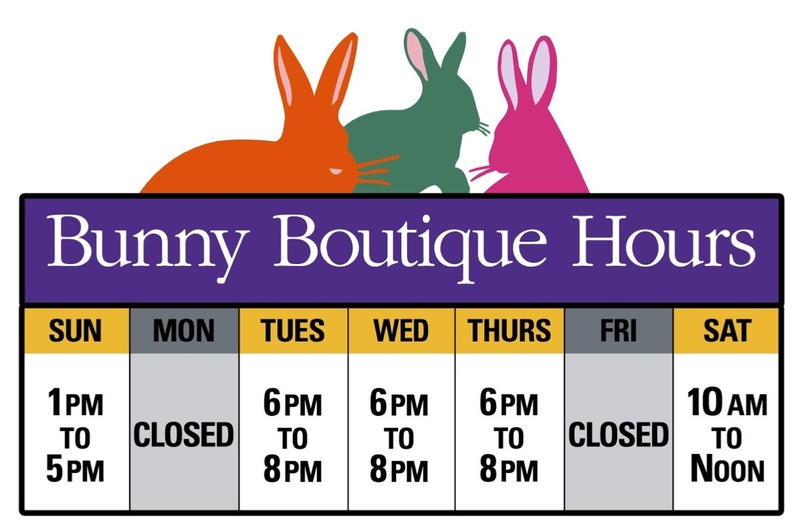 Rabbits need consistent care, including on weekends and during vacations. Sending a classroom rabbit home with a student or a succession of students can result in severe stress to the animal. Improper care is likely, even in the most well-intentioned families. Being left at school has its risks. Many teachers have returned to school on Monday only to find a dead animal in the cage that housed an apparently healthy one on Friday. 4.Are you willing to monitor your rabbit closely for illness? Rabbits need the care of someone who can quickly recognize small changes in behavior, eating, and droppings. These are the first symptoms of illness, which can progress quickly in these small creatures. 5.If your rabbit is sick, can you afford to have him treated? It can be difficult to find veterinarians who are knowledgeable about treating rabbits. If you make a vet visit and medication or other care is prescribed, are you prepared to give it? 6.Do you have space for a 2-foot by 3-foot cage, both at school and at home? Who will foot the bill for a humanely sized cage? 7.What would happen if the air conditioning or heat at your school is turned off outside of school hours, or if pesticides are sprayed? Rabbits, because of their thick coats, begin to show distress at temperatures above 85° F. Rabbits are so sensitive to pesticides that even common flea preparations are likely to cause serious illness. 8.Are your students mature enough to understand the lessons you want them to learn from the rabbit and are they capable of treating the rabbit appropriately? Children under 7 are usually not mature enough to safely interact with a rabbit except under close, constant, supervision. 9.Do you have the time to teach students proper behavior and to monitor their interaction with the rabbit? Adults must be committed to teaching and enforcing rules that protect both the child and the rabbit from physical and emotional trauma. 10.What will you do if a child is injured by the rabbit or vice versa? Young children love to pick up and cuddle animals. However, most rabbits feel safe only with four feet on the floor or other stable surface. Spinal injuries and dislocated or broken legs are common when rabbits struggle or fall when small children try to hold them. Children can also be badly scratched or painfully bitten by a frightened rabbit as she tries to escape. 11.Are you willing to “bunny-proof” your classroom so you can allow the rabbit the out-of-cage time necessary for his well-being? Rabbits like to chew and dig, but their destructiveness can be managed by managing their environment, training, and other methods. Rabbits should get at least three hours of exercise daily. 12.Is your classroom comfortable for a naturally timid animal? Stresses present in classrooms include noise, over-handling, improper foods and diet variations, disruption of routine, temperature changes, and loneliness. 13.Does your principal approve of uncaged pets? If not, are you willing to take the rabbit home? 14.Will you be prepared to take the rabbit home and keep her there if a student is allergic to her? This pamphlet was originally prepared by Carolyn Mixon and Gina Scherffius of the House Rabbit Resource Network.